Mobile Backend as a Service (MBaaS) solutions intend to reduce the complexity of mobile application development by offering cloud storage, authentication, push notification and similar type of services. They rely on RESTful programming interface to access data (Create/Read/Update/Delete operations based on HTTP GET/PUT/POST/DELETE methods) and offer authentication services using OAuth protocol. The vendors also tend to offer Software Development Kits for various platforms like iOS, Android, Windows Phone, etc. This is the common framework offered by the MBaaS providers for mobile application developers to accelerate the development. There are many service provides in this arena such as Kinvey, StackMob, Appcelerator and the major cloud players a such as Salesforce.com (see Database.com post), Google and Microsoft also have their own offering. 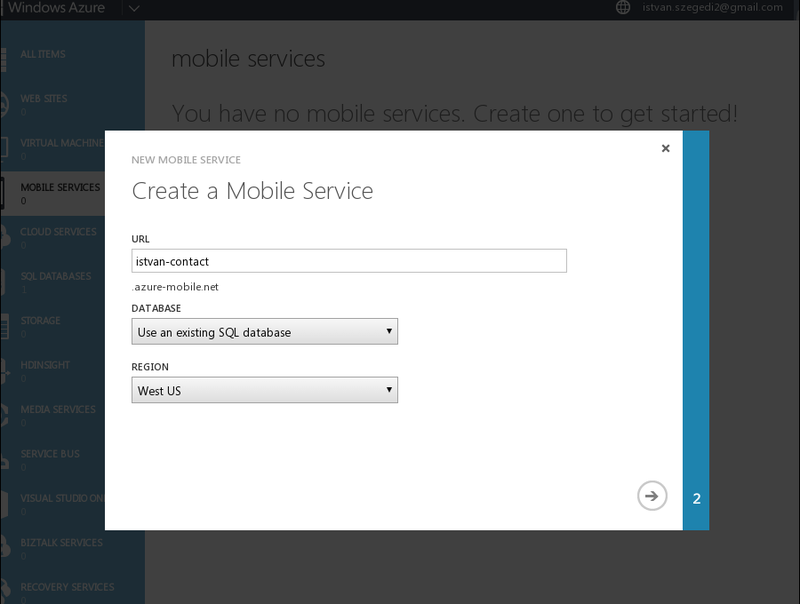 In this post we are going to introduce Windows Azure Mobile Service as a cloud based backend database for mobile applications. We will demonstrate how to write a simple Android application using Azure Mobile Services as cloud backend database to store contact details (name, email address, phone number) and we will also show how to introduce authentication in order to protect our data and let only authenticated users access it. Assuming that we have already signed up for Windows Azure services, we need to log in to the Azure Management Portal and click on the Mobile Services icon. This will bring up a form where we need to provide our URL (that will be postfixed with .azure-mobile.net domain), the database name and the region (as of writing the article, we can select from West US, East US, North Europe and East Asia). The next step is to create our SQL table. 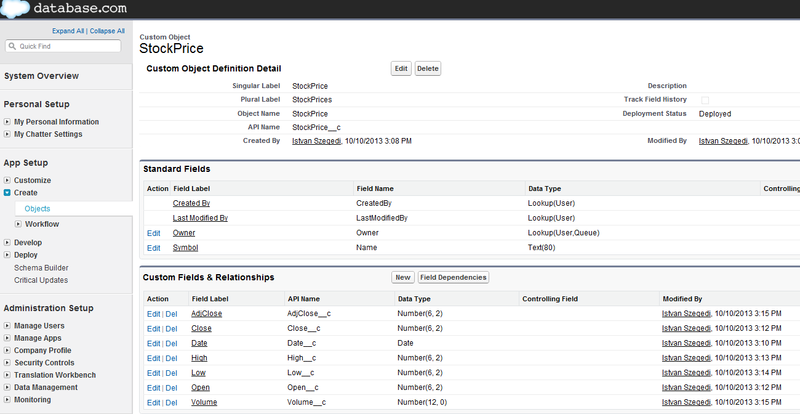 We can click on Data menu, provide the name for our table an define the access permissions for each operation type such as insert, update, delete and read. 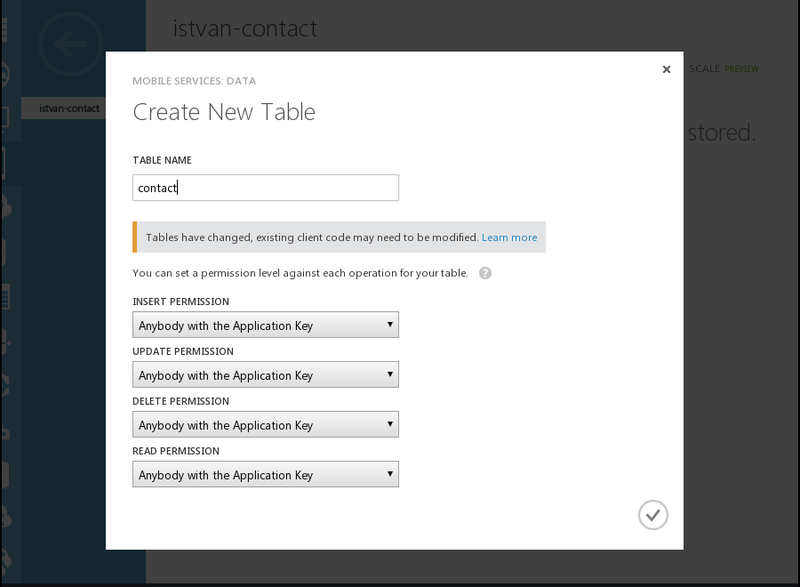 As a result, we will have a base table with a few predefined columns such as id, _createdAt , _version that are generated by Azure Mobile Services automatically. 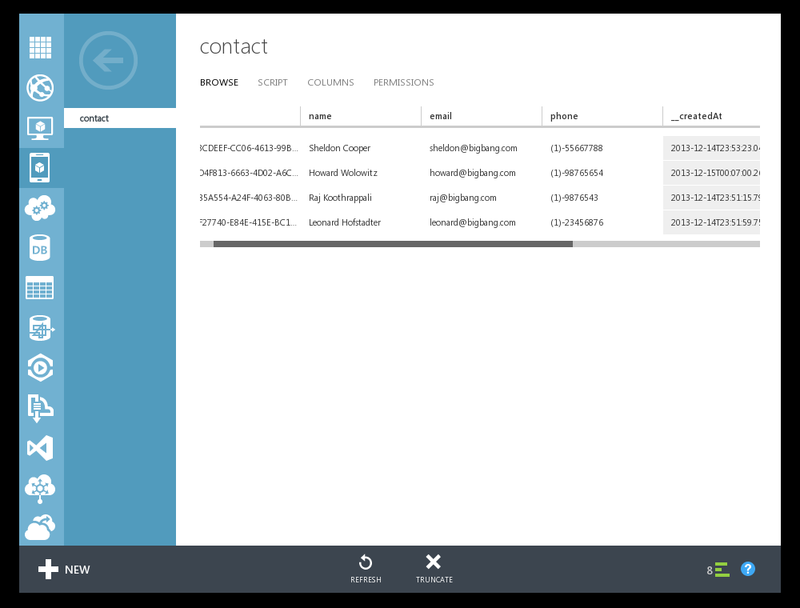 We can then add our columns such as name, email and phone to this table using Add Column (+) menu at the bottom of the management console. 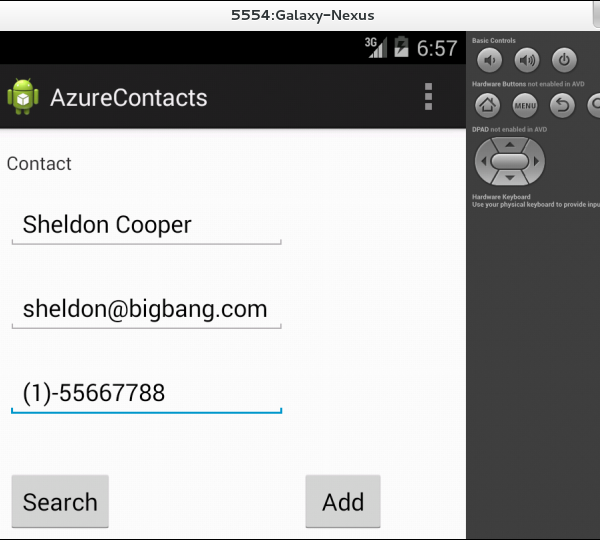 The figure below shows the contact table that is going to be used by our Android application. Our cloud backend layer is ready to use now. 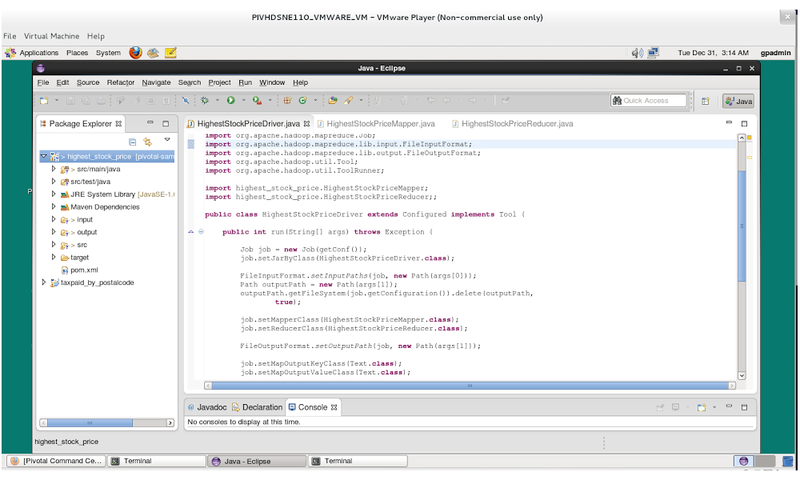 The first step is to create an Android project from the Android Developer Tools (ADT). 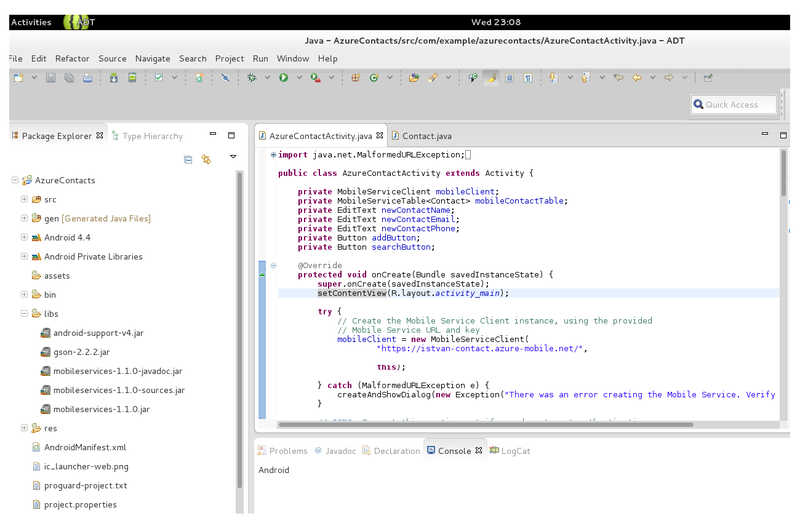 Then we need to unzip the Mobile Service SDK for Android and copy all the jar files under mobileservices directory to the libs directory under our project named AzureContact. Then we can start writing our code. The application has two classes; the main activity class is called AzureContactActivity.java and the entity class that describes the data entity is called Contact.java. Below is the code for these classes. Now if we run our application, we can enter the new contact name, email and phone and submit the data by pressing the Add button. 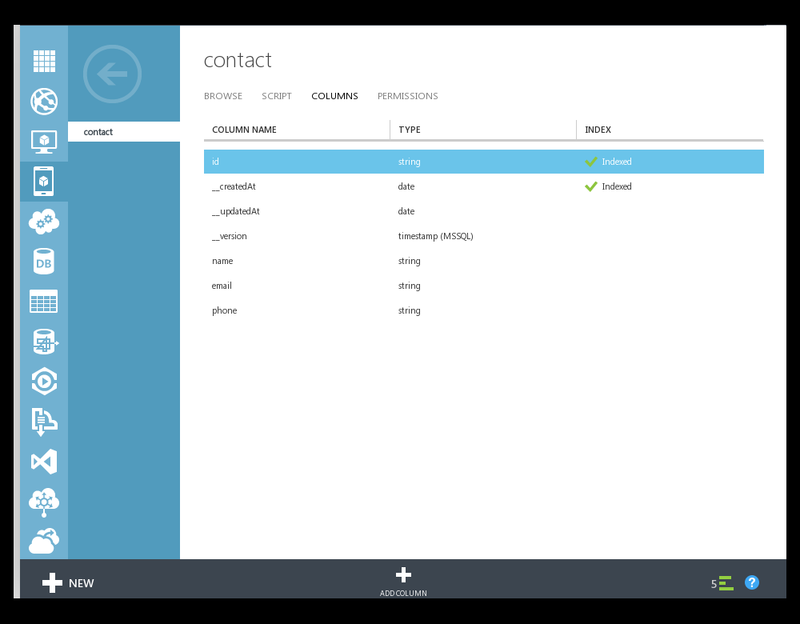 The mobile application will execute the addContact() function that invokes mobileContactTable.insert(contact, … ) method to insert the data into the contact table store on Microsoft Azure cloud store. This LINQ query will return the contact details if the value of column ‘name’ equals to the given name – similar to SELECT * FROM contact WHERE name = ‘Name’ SQL query. 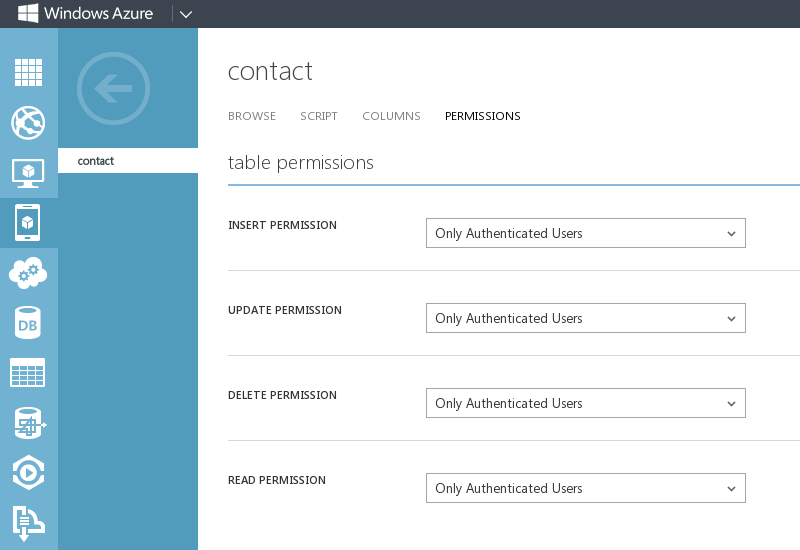 The Azure Management Portal allows us to verify our data stored in the contact table. 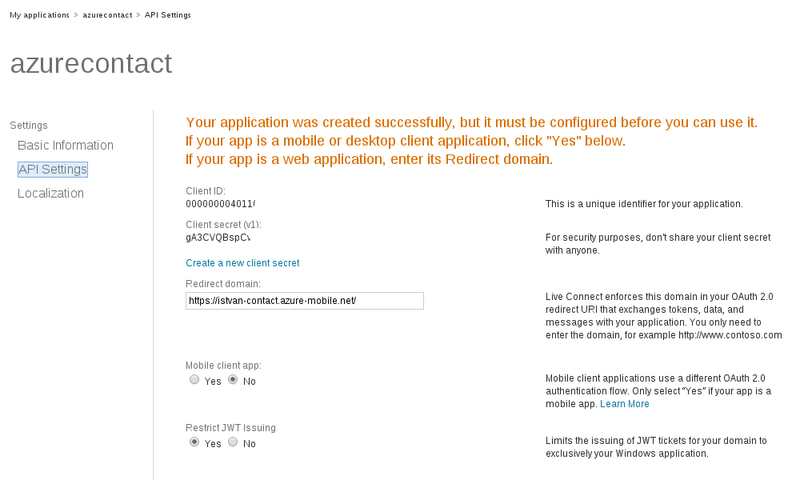 Azure Mobile Services also support OAuth authentication in order to restrict access to our data stored in the cloud. As of now, the supported authentication providers are Microsoft, Google, Twitter and Facebook. In order to configure OAuth authentication for our Android application, we need to change the contact table permission to “Only Authenticated users”. Then we need to go to our preferred authentication provider’s website, in the example we are going to use Microsoft Account. This webpage describes how to register your application with Microsoft Account. 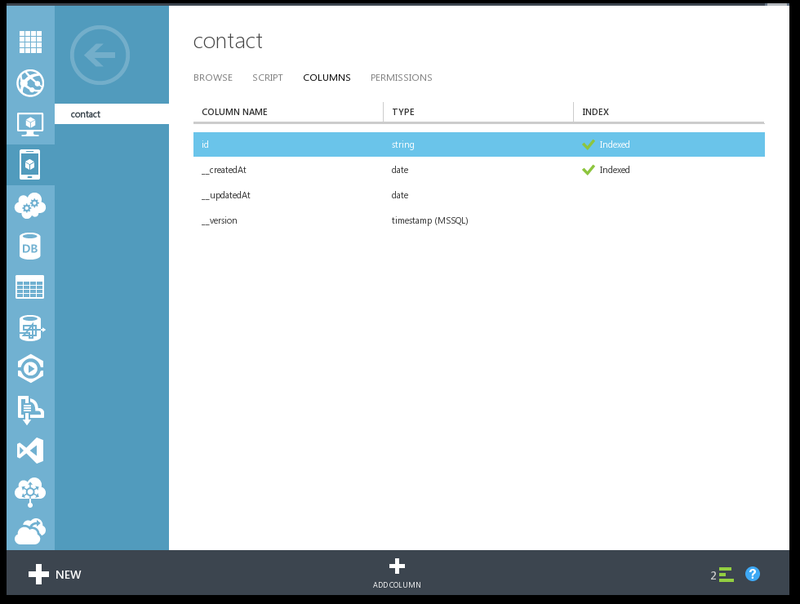 After this step we need to configure the client id and client secret under our mobile service in Azure Management Portal (see Identity menu). 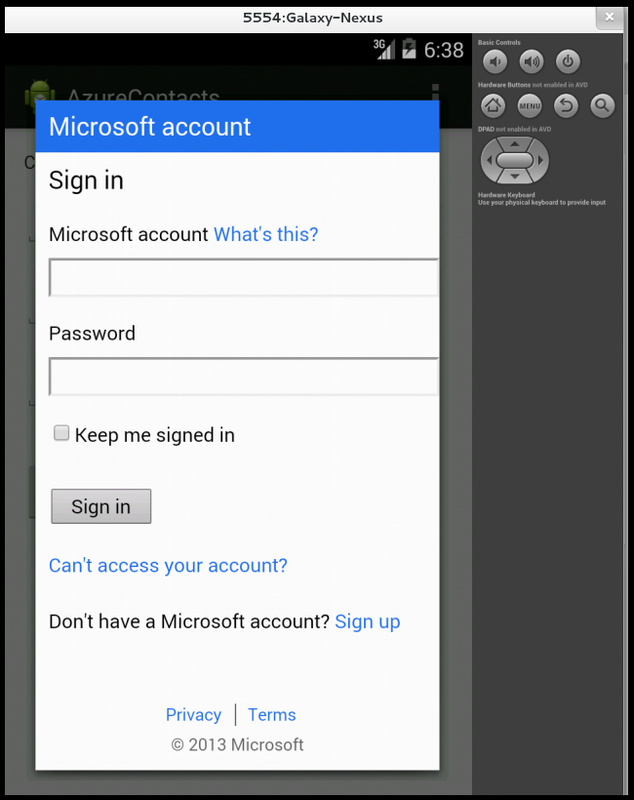 Now when we start our AzureContact mobile application, it will ask for username and password that has to be authenticated with Microsoft Account. 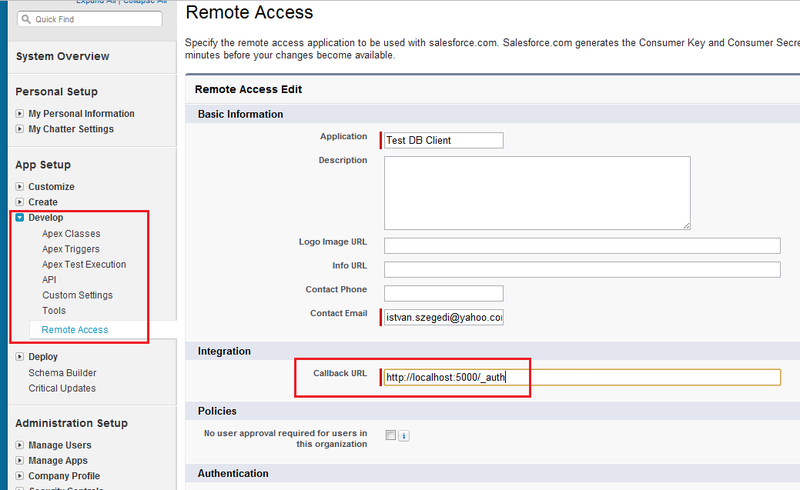 Only after successful authentication can we search or add contact details. 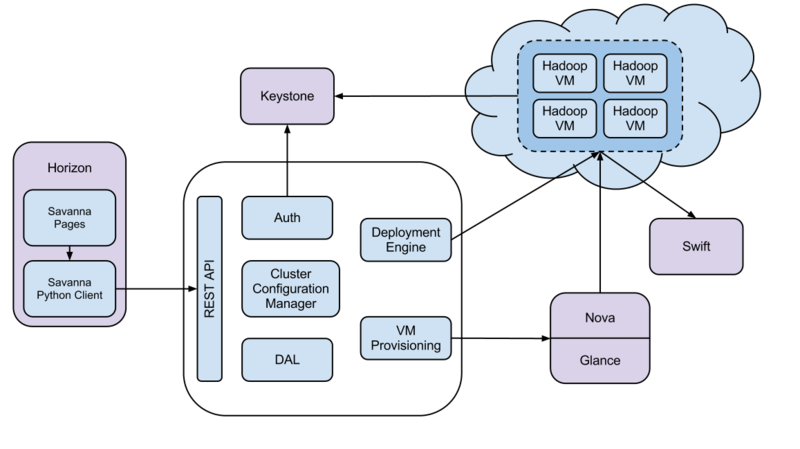 Cloudera Impala supports low-latency, interactive queries on Hadoop data sets either stored in Hadoop Distributed File System (HDFS) or HBase, the distributed NoSQL database for Hadoop. 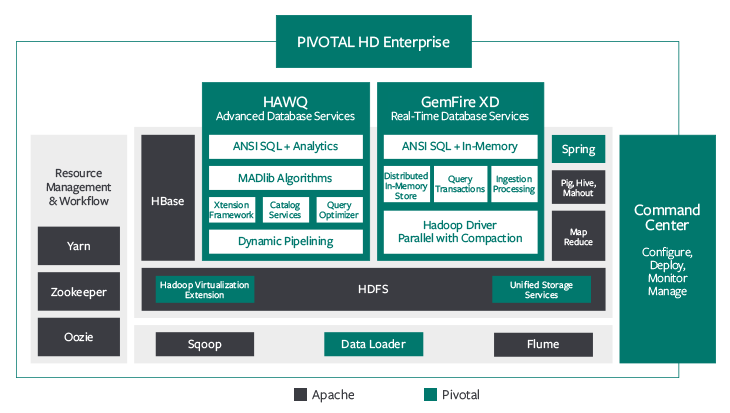 Impala’s notion is to use Hadoop as a storage engine but move away from MapReduce algorithms. 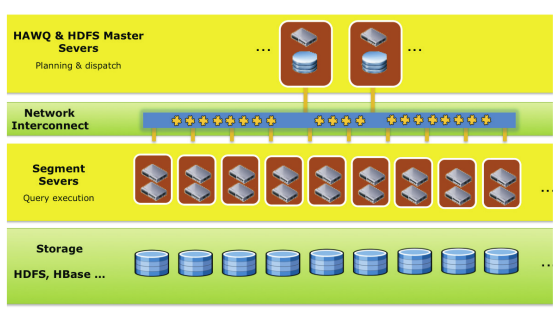 Instead, Impala uses distributed queries, a concept inherited from massive parallel processing databases. 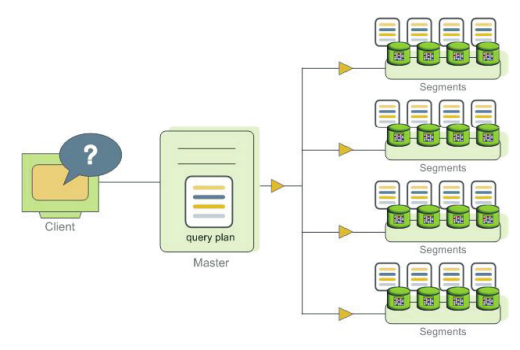 As a result, Impala supports SQL-like query languange (in the same way way as Apache Hive), but can execute the queries 10-100 times fasters than Hive that converts them into MapReduce. You can find more details on Impala in one of the previous posts. R is one of the most popular open source statistical computing and graphical software. It can work with various data sources from comma separated files to web contents referred by URLs to relational databases to NoSQL (e.g. MongoDB or Cassandra) and Hadoop. Thanks to the generic Impala ODBC driver, R can be integrated with Impala, too. 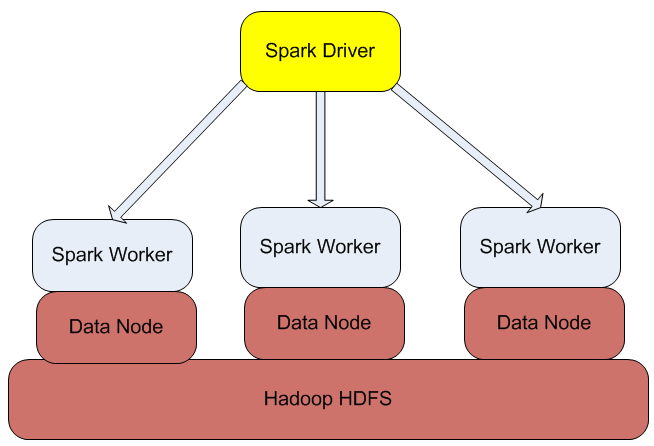 The solution will provide fast, interactive queries running on top of Hadoop data sets and then the data can be further processed or visualized within R.
As we can see in the diagram below, Impala runs on the top of dataset stored in HDFS or HBase and the users can interact with it in multiple ways. One option is to use impala-shell which is part of the impala package and provides a command line interface. 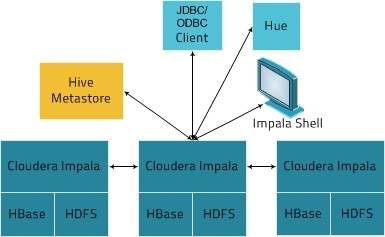 Other option is to use Hue (Cloduera’s Hadoop User Experience product) that is a web browser based UI offering a query editor among other functions that is capable of run queries against Pig, Hive or Impala.The third option is to use ODBC driver and connect some of the well-known popular BI tools to Impala. Cloudera provides connectors for some of the most popular leading analytics and data visualization tools such as Tableau, QlikView or Microstrategy. 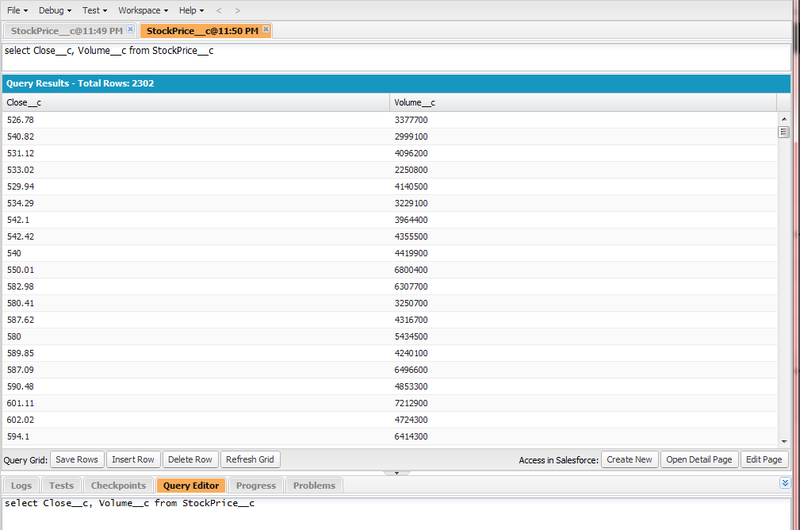 It can also offer a generic ODBC driver that can be used to connect various tools. 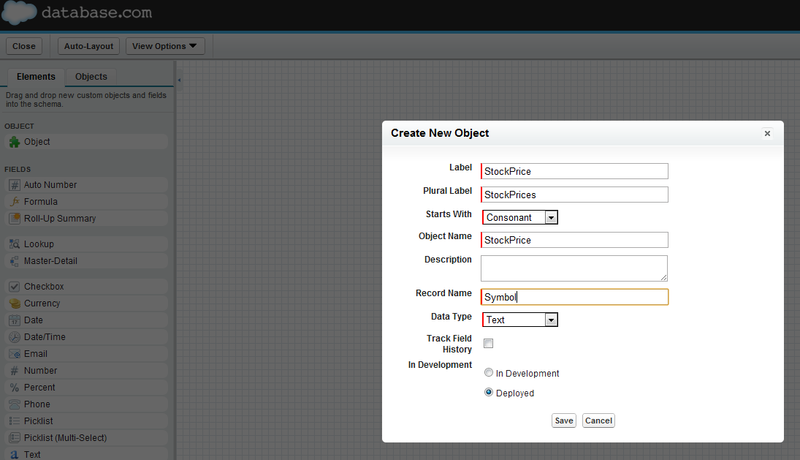 This is the software component that we will use in the post to demonstrate how to integrate R with Cloudera Impala. R comes with a command line interpreter but if you want to have a more convenient development environment, you may prefer to use RStudio. 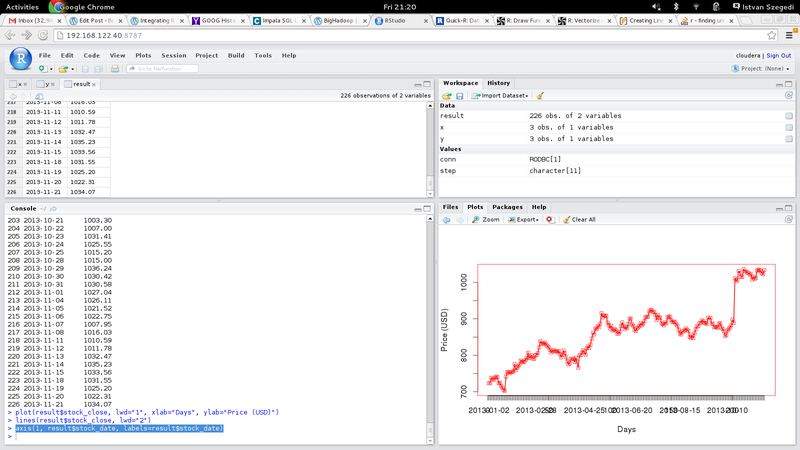 RStudio has a desktop version as well as a web browser based alternative called RStudio Server. They can be downloaded for free from RStudio website. 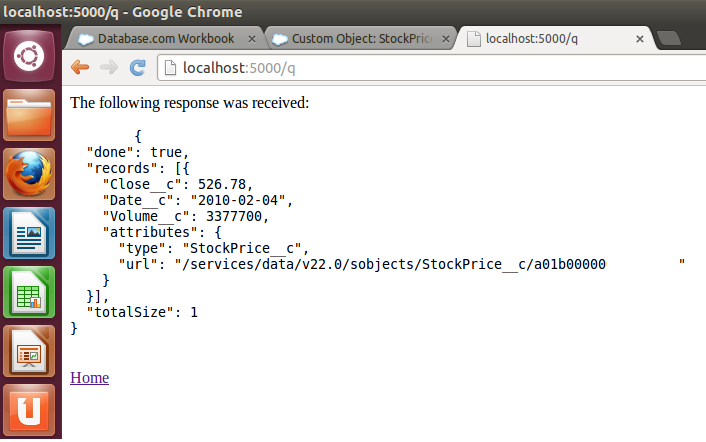 We will use RStudio Server in this post. Impala ODBC driver requires a couple of files configured properly (the driver package has templates files embedded that needs to be edited and copied to the correct directory). 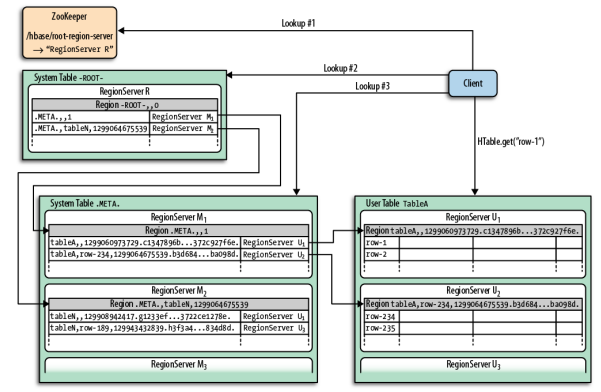 The two key configuration files are odbc.init and cloudera.impalaodbc.ini. 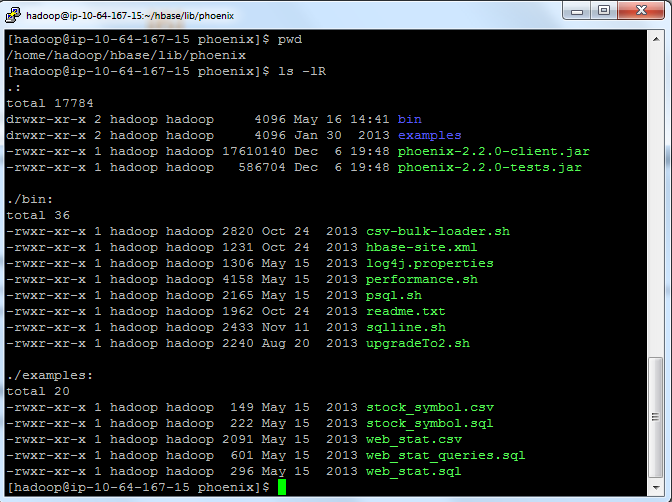 Now we are ready to start analyzing our Hadoop data set with R and Impala. We will demonstrate how they work together using stock price information. You can download e.g. Google stock prices from http://finance.yahoo.com (symbol: GOOG). Once you have the spreadsheet downloaded, you need to remove the first line (header) from the file and then load it into HDFS using Hadoop file system shell. 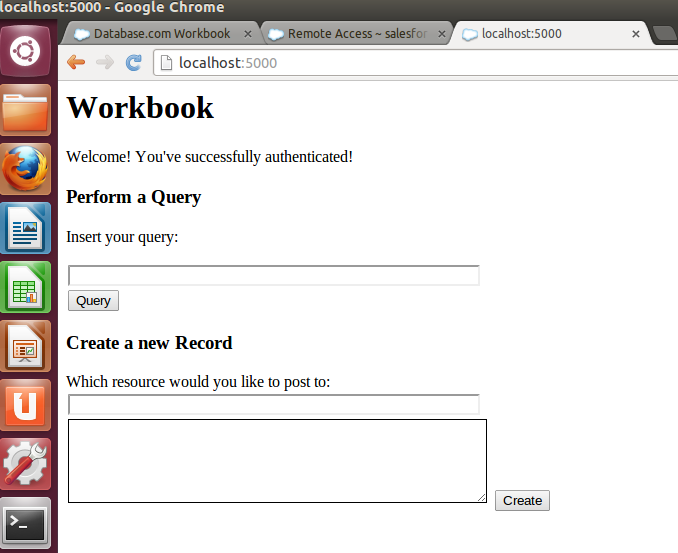 Now we can login to impala shell to create our table. Impala has a SQL-like query language so you can use the familiar CREATE TABLE command. The external clause indicates that the physical data files are managed outside Impala; even if you drop the table, the files will be kept in the HDFS directory. 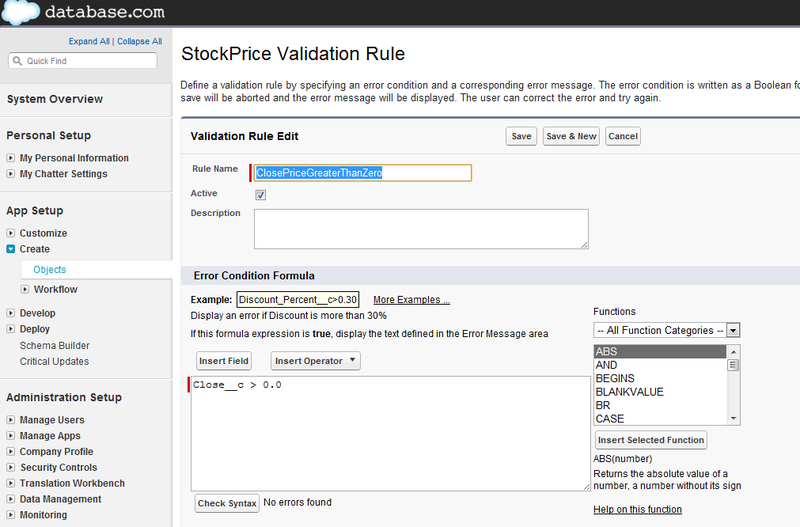 After the table is created, we can run SHOW TABLES statement to verify if the table is accessible from Impala. 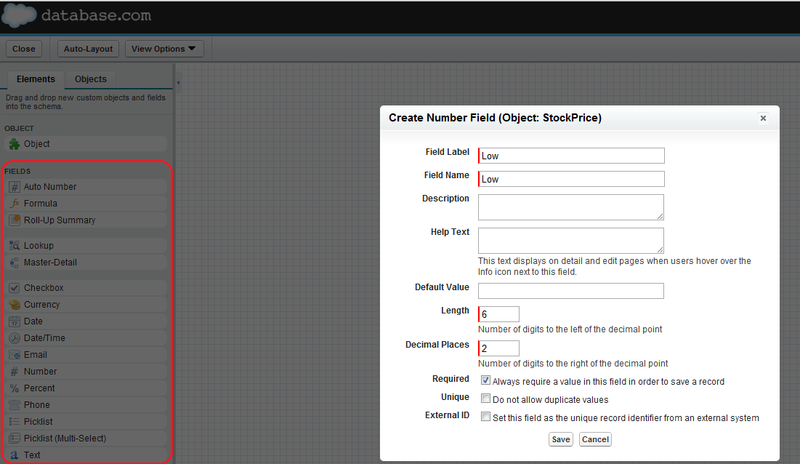 We can also run a SELECT statement from impala-shell to display a couple of rows from the stock table. As mentioned above, if you want to use a more convenient R development environment with various advanced features such as debugging, package management, file system navigation, etc. then RStudio is an excellent choice. 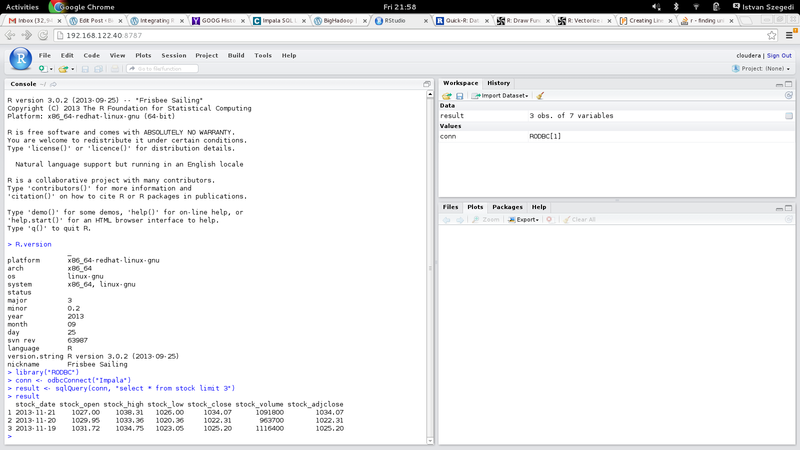 It can be run as a desktop application or via a web browser if you have installed RStudio Server. In case of the second option, RStudio can be accessed via http://hostname:8787 and you can login using your Linux username and password. Now you can login to RStudio and execute the same R commands as we have shown from the command line interpreter, see the figure below. 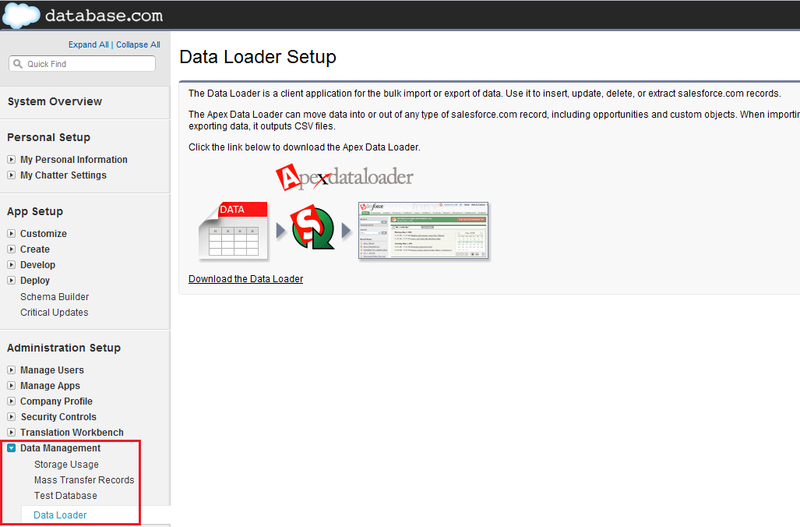 Cloudera Impala is an exciting new technology to provide real-time, interactive queries in Hadoop environment. 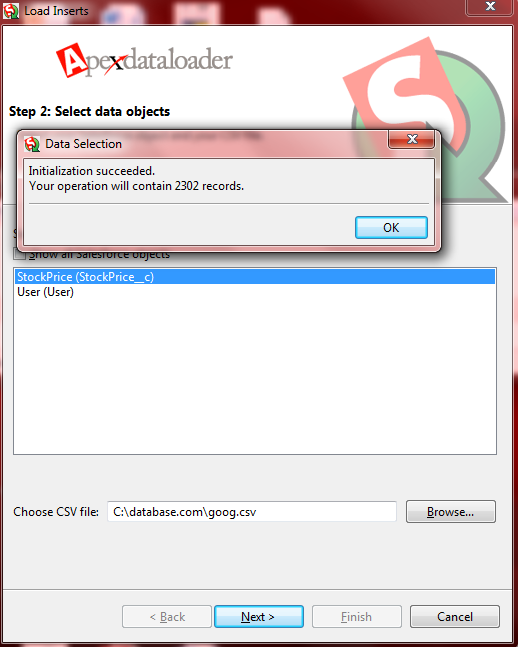 It supports ODBC connectors and this makes it possible to integrate it with many popular BI tools and statistical software such as R. Together R and Impala provide an excellent combination for data analyst to process massive data sets efficiently and they can also support graphical representation of the result sets. If you are interested to learn more about Impala, please, check out our book, Impala in Action at Manning Publishing.